Enfold provides digital lockers that keep your documents safe, secure and always available. 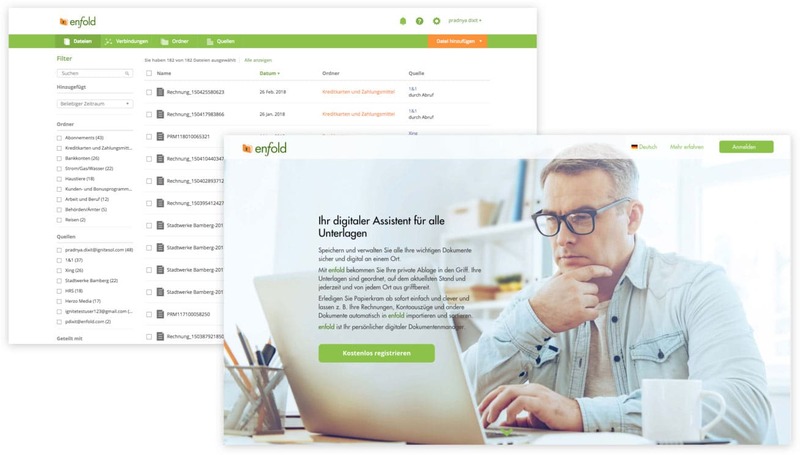 Enfold’s digital lockers automatically obtain documents worth storing from your email accounts and web portals. 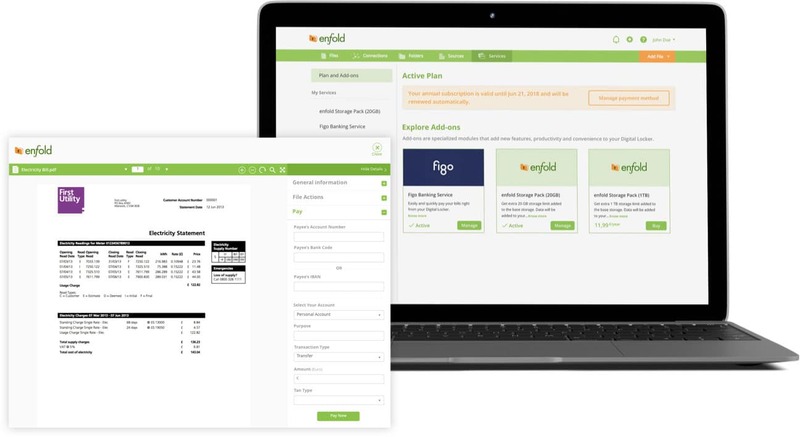 Ignite engaged with Enfold as the CTO for Enfold. We started with defining a microservices architecture and designing the UX for the portal experience. We managed the A full lifecycle development exercise over multiple releases and built out the digital locker portal. 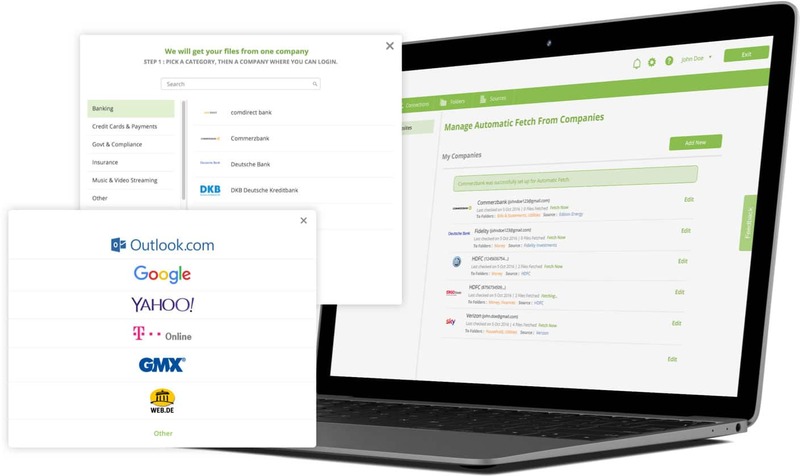 The locker automatically fetches documents from email accounts and web portals, and allows documents to be emailed to the locker from trusted email accounts. With a global strategy, the portal supports multiple languages and locales, in terms of the content on the pages, the content in any communications and incoming content. In addition, technically, it works on multiple cloud platforms and integrates with multiple email providers, SMS providers, and payment processors. A marketplace of additional products and services along with an advanced promotions campaign and subscription management supports a direct-to-consumer business model. A rich set of APIs and webhooks allows the entire system to be integrated with external (or internal systems) including single sign-on, subscription, and payments, account life-cycle, locker state changes, depositing documents, sharing and more. 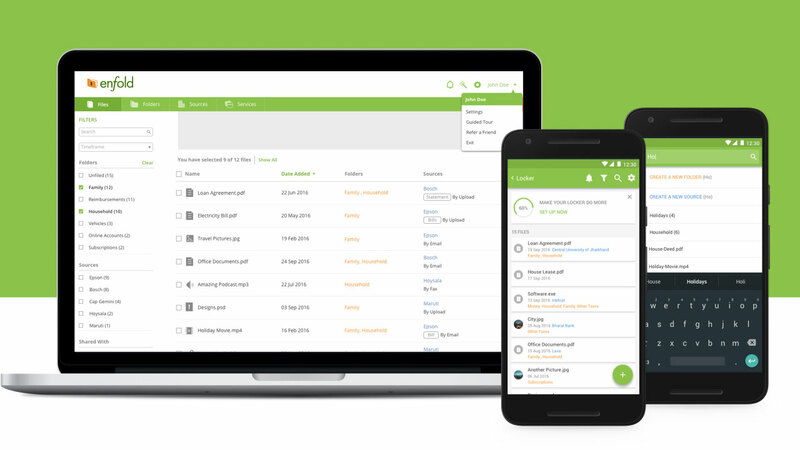 The locker integrates with external tools such as the entire Microsoft office suite. 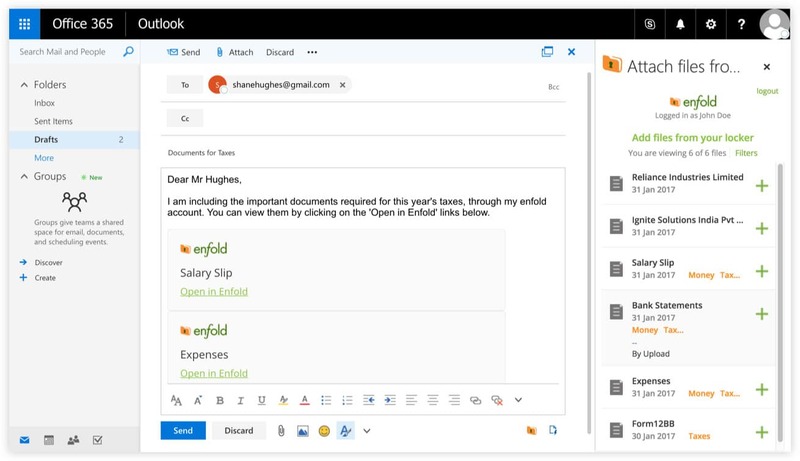 Users of Office and Outlook can directly add or retrieve documents from the locker. The system works in multiple modes – as a white label, fully branded offering, as a consumer-facing offering and as a co-branded offering. The entire architecture was baked by testing with an external security and penetration test. We planned a load and scale test to test this system to support 800 million lockers with a high degree of concurrent use scenarios. This load and scale test was verified by the cloud provider.